dedicated to experimenting with this iconic fashion item. The Fall/Winter 2017 collection explores the heritage of the Max Mara coat, which is reimagined with a new paradigm of geometry. The careful and passionate study of volumes is reflected in silhouettes and shapes that delicately balance between a harmony of geometric figures and the exploration of informal beauty, perfectly imperfect by definition. Double fabrics in rich alpaca, cashmere or pure camel are the most noble of fibers that are treated and transformed as if they were a living and vibrant matter, in a genesis that stops time. Earthy hues and primordial shades make up the natural palette: kaolin white, concrete, clay, iron and wood, combustion and rust. 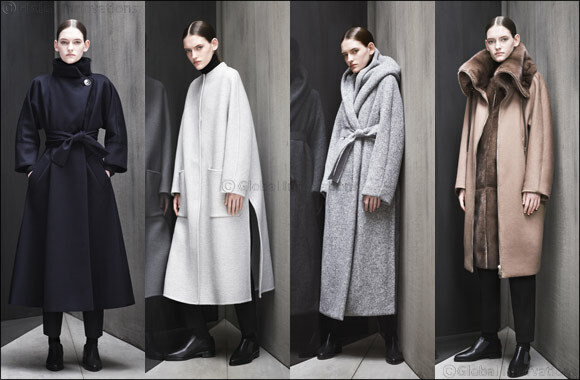 Max Mara Atelier is a collection specially designed for women with character, confidence and style that evokes the concept that real beauty means being yourself.